Friends and family of John Lennon have given their memories of the star as the 25th anniversary of his death nears. Singers Tom Jones and Cilla Black were among those to recall the singer, who was shot dead in New York on 8 December 1980, for Radio Times magazine. Ex-wife Cynthia Lennon said Lennon never "lost the pain of his childhood" while ex-girlfriend May Pang said he disliked being the focus of attention. Rolling Stones star Keith Richards said the singer was "a great bloke". Richards added: "For some reason he always felt he had to party harder than me. "Which is a very difficult thing to do - especially in those days." Ex-wife Cynthia Lennon said the pain he experienced in his early life, including the death of his mother, was "a crucial part of John's aggressiveness and creativity". "Whether people want to accept that, it's up to them, but John was violent and aggressive at times," she said. "He never stopped creating. He was constantly searching for something new and trying to find himself within it. "Even when he was married to Yoko, I don't think he lost the pain of childhood." Cilla Black, who got her big break when Lennon recommended her to The Beatles manager Brian Epstein, said the singer was "very, very sensitive". "He had this caustic sense of humour, but at the end of the day if he thought he'd hurt anyone he'd be mortified," she said. "You can't write all those incredible, vulnerable songs - Imagine, Across the Universe, Julia - and not be vulnerable and sensitive." 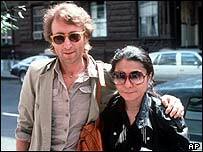 May Pang, Lennon's personal assistant and girlfriend for two years, said: "John just didn't understand his being the focus of all this attention." Journalist Maureen Cleaver, who befriended The Beatles while working for the Evening Standard newspaper in London, said Lennon was "bemused" by the wealth success had brought him. 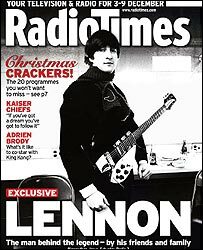 Former NME news editor Derek Johnson recalls how The Beatles' final years saw Lennon "transform from a fun-loving cheeky chappie into a sombre and morose man". 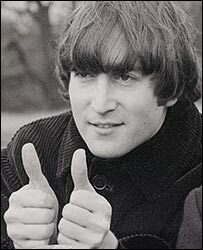 Welsh singer Jones recalled a time when Lennon was snubbed by Lord Mountbatten. Jones said: "John turned to me and said: 'Do you believe that? He blanked me. And I've met the Queen.'"